Oil and Natural Gas Corporation Limited (ONGC), India largest oil and gas company, awarded Gunanusa-AFCON Joint Venture to execute the ICP-R Process Platform Project in Mumbai High North, India. 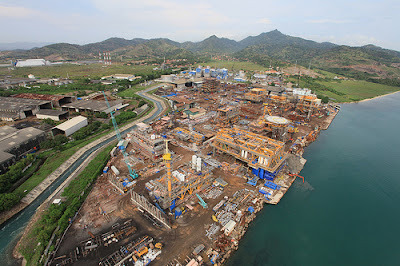 The project scope of works is the Engineering, Procurement, Construction, Commissioning and Installation of the ICP-R platform, Flare Tripod and connecting bridge. The ICP-R platform consist Main Structural Frame, Building Module, Process Module, Turbo Generator and Compressor Module which has a weight of 7300 MT and the jacket weight is 3600 MT. 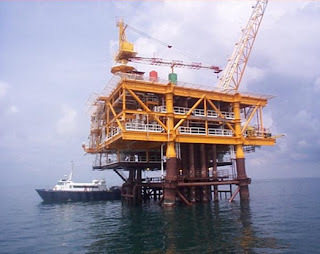 The Flare Tripod topside weight is 90 MT and the jacket is 630 MT.The water depth is 75 m.
This is the first Gunanusa-AFCON Joint Venture project, and it will be completed on April, 2011. PTT Exploration and Production Plc (PTTEP) operates the Greater Bongkot South (GBS) gas field in the Gulf of Thailand. 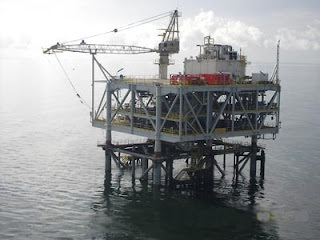 For the Development Phase 4a of GBS, Gunanusa has been awarded the contract for Supply and Installation of Quarter Platform South (QPS) and Flare Platform South (FPS), with the scope of work to perform Engineering, Procurement, Construction, Installation, Hook Up and Commissioning. QPS has a 1200 tonnes upper deck for a 158-person living quarters, galley, recreational room, office, helideck & workshop, and a 1500 tonnes lower deck for emergency diesel, fresh water package and sewage treatment. FPS has a topsides weight of 420 tonnes with a 550 tonnes jacket and the platforms will be installed at the water depth of 78 m. This project is scheduled for 26 months, with the expected installation on April 2011. Hess operates the Ujung Pangkah area at East Java in shallow water at 10 m depth. Gunanusa has been awarded to perform Engineering, Construction, Hook Up and Commissioning of Central Processing Platform (CPP) and Auxiliary & Utility Platform (AUP). 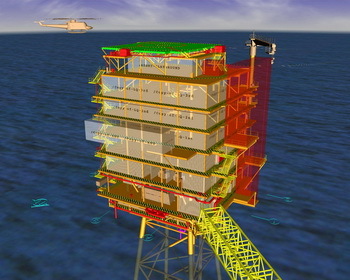 CPP has a 2650 tonnes upper deck with an 260 tonnes jacket, the platform consists of processing module, gas/liquid separation, gas compression, liquids pumping and produced water handling, water treatment and disposal. Total E&P operates the Peciko gas and condensate field at the offshore of East Kalimantan, with a water depth from 30m to 50m, south of the Mahakam River Delta. Peciko Development Phase 6 is an onshore project consisted of turbo-compressors, inlet and discharge gas air coolers, suction and discharge scrubbers, pressure vessels, accompanying pipelines and civil works. 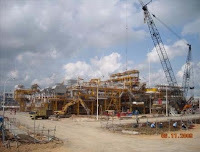 The project will took 21 months and will be completed in 4th quarter of 2009. Total E&P operates the Tunu gas and condensate field in East Kalimantan on the outer margin of the Mahakam delta with an average water depth of 8 m. Total has awarded Gunanusa to perform Engineering, Procurement, Construction and Installation of almost all of the phases of the development. 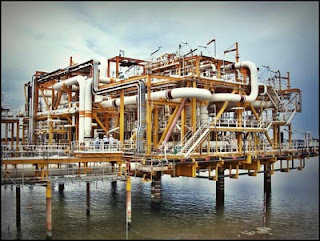 For phase 11, this project consists of 2 platforms, South Manifold Platform (SMP) and South Compression Platform (SCP). 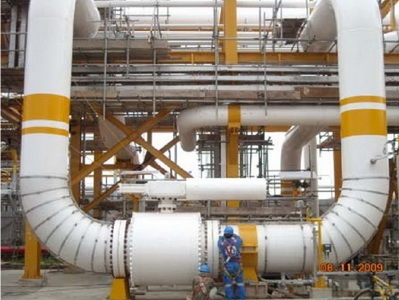 SMP, weighing 2700 tonnes, consists of deck, Middle Pressure manifold with pig launcher and pig receiver, Low Pressure manifold, 2 slug catchers, and flare KO drums. 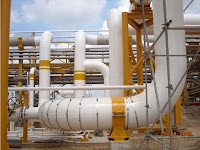 SCP, weighing 4600 tonnes, consists of deck, inlet and discharge, air cooler, turbo-compressors, suction scrubbers for gas compressors, plant and instrument air systems, nitrogen production system, gas turbine power generator packages. 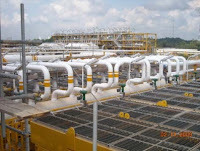 SCP compressed the gas before delivery to Bontang LNG Plant. 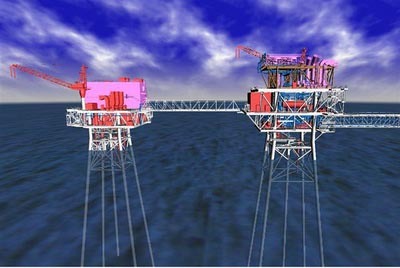 The project, which took 23 months was awarded in December, 2006. The BP Indonesia operates Tangguh gas field in Berau Bay in the province of Irian Jaya, Indonesia. The natural gas field contains over 500 billion m3 (17 Tcf) of proven natural gas reserves, with estimates of potential reserves reaching over 800 billion m3 (28 Tcf). Saipem as the main contractor for the project subcontracted Gunanusa to fabricate two Gas Production Facilities (GPF) platforms (VR-A and VR-B), each deck weight is 1200 tonnes, including each jacket (1900 tonnes) and pile (1300 tonnes). 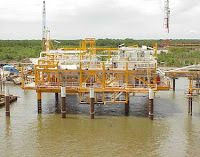 Total Indonesie E&P operates the Tunu gas and condensate field in East Kalimantan on the outer margin of the Mahakam delta with an average water depth of 8 m. Total has awarded Gunanusa to perform Engineering, Procurement, Construction and Installation of almost all of the phases of the development. Sisi Nubi Production Separation Platform (SNPS) has a 12 legs 3500 tonnes intergrated topside including finger type slug catcher separator, pipe racks, pig receiver, and open/close drain drum. 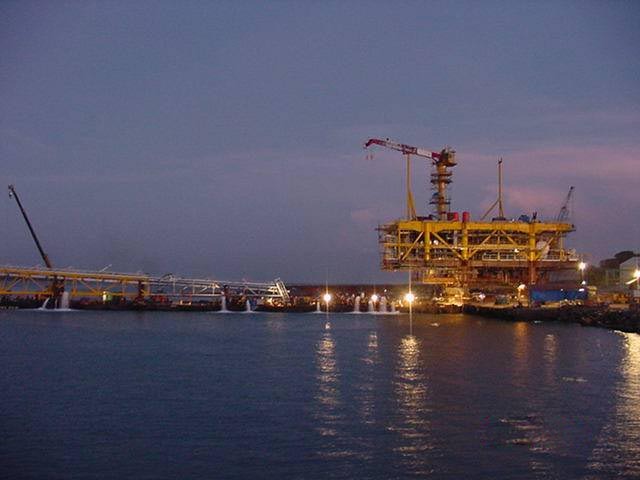 Total Indonesie E&P operates the Peciko gas and condensate field at the offshore of East Kalimantan, with a water depth from 30m to 50m, south of the Mahakam River Delta. Gunanusa has won several contracts for the Peciko Development Phases. Peciko Offshore Development Phase 4 EPSC 2 contract entails the fabrication of 2 satellite wellhead platforms with 4 legs (SWP E & K), the decks weight are 970 and 850 tonnes. The jacket for the decks are 800 and 720 tonnes. 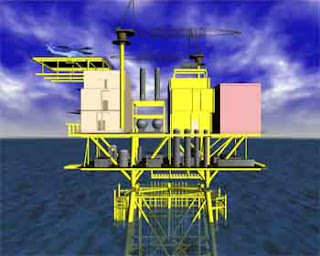 The contracts including one temporary drilling deck, and the offshore hook-up and modification of 4 other existing platforms. The project took 30 months, and was completed in 2004. 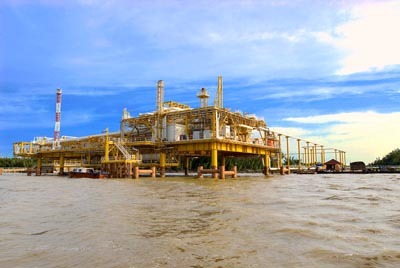 Total E&P operates the Peciko gas and condensate field at the offshore of East Kalimantan, with a water depth from 30m to 50m, south of the Mahakam River Delta. Gunanusa has won several contracts for the Peciko Development Phases. For Peciko Offshore Developments Phase 3, Gunanusa fabricated the new Satellite Wellhead Platform (SWP-G) and 20" sea line connection SWP-G and the existing MWP-A, and also the modification to existing facility (MWP-A). The plant design life is 20 years. 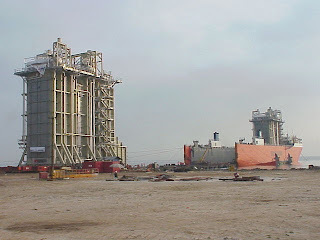 The construction and installation, completed in October,2002, include the deck (1200 tonnes) and jacket (800 tonnes). 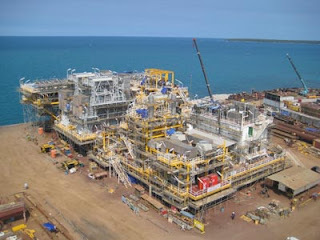 The North Compression Platform for Tunu Development Phase 8, weighing at 5400 tonnes, is the largest platform Gunanusa ever fabricated to date. The NCP would allow the North Tunu area to operate in MP mode. 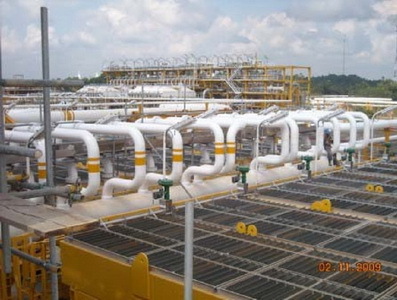 The platform comprises of inlet slug catcher, air cooler, condensate export pumps and turbo-compressors. The project was completed in September, 2002.